The three-day event, organised by Nivesh and HHACH in partnership with UNESCO, will witness immersive storytelling sessions focusing on India’s rare art forms as well as native tales from Africa, the UK, Greece, Poland, Russia and Iran. One of the highlights of the festival will include well-known spiritual figure Sadhguru, founder of Isha Foundation, turn into a storyteller during a session with musician Mohit Chauhan. Filmmaker Imtiaz Ali and musician Mohit Chauhan will come together to relive memories over kisse's of Rockstar and kahani's from childhood. Noted theatre artist Danish Hussain will present an adaptation of ‘Qissa Urdu Ki Aakhri Kitaab Ka’, originally written by Pakistani poet Ibn-e-Insha. Festival co-director Shaguna Gahilote will dramatise the story of Mahatma Gandhi, through a session on ‘Bapu Ki Kahani’, to mark 150 years of the Indian independence leader’s birth anniversary. 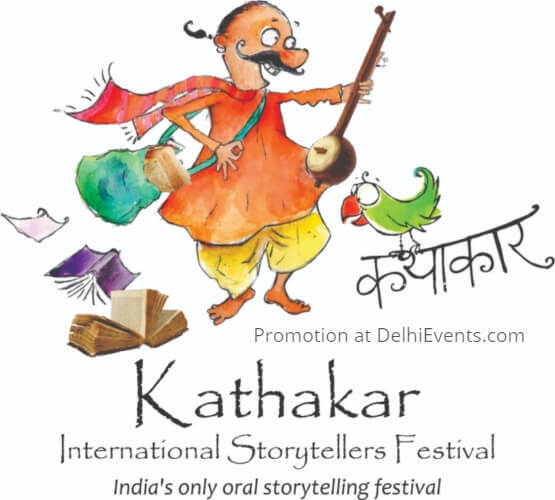 About Kathakar : 'Kathakar – International Storytellers Festival' is an initiative by Shaguna, Prarthana Gahilote and Rachna who are pioneers in reviving multiple forms of storytelling for children and adults alike. Launched in 2010 by NGO Nivesh and the Himalayan Hub for Art, Culture and Heritage (HHACH), the festival has since acquired the reputation of being an important platform to promote, preserve and celebrate the ancient art of storytelling. It is part of the travelling literature festival ‘Ghummakkad Narain’, which is inspired from the life of India’s first Braille editor Thakur Vishva Narain Singh.